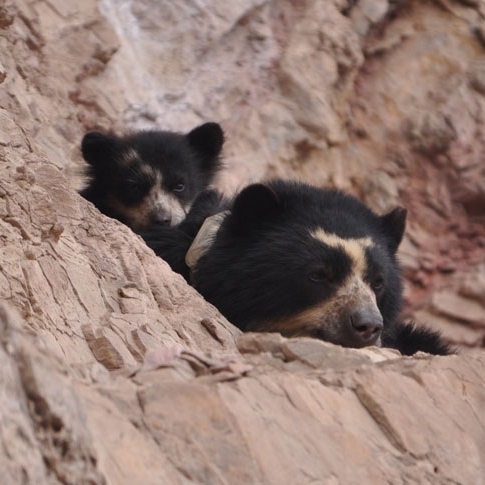 The mission of Spectacled Bear Conservation - Peru (SBC) is to ensure the conservation of the Spectacled bear in the dry forest habitat of northern Peru through scientific research and education, while working collaboratively with private land owners and rural communities to improve their social and economic well being through community outreach. At the Spectacled Bear Conservation Society we use a combination of approaches that focus on partnering with the local villages (casarios) that are in prime spectacled bear habitat. 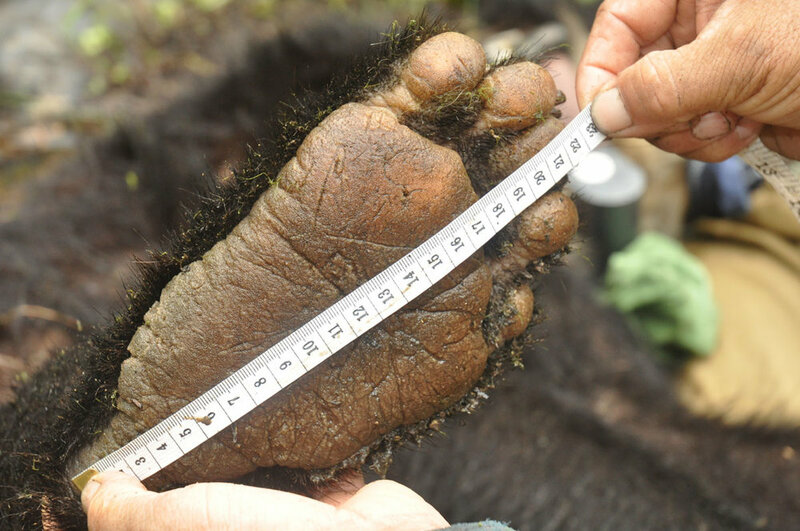 Along with our community partnerships we use science and research to identify and understand the resources needed for spectacled bear conservation. Many fundamental aspects of the ecology and behavior of the spectacled bear remain unknown, making it difficult to develop realistic conservation plans for the species. Moreover, the typically shy nature of the spectacled bear and the cloud forest habitat they usually inhabit poses major challenges to field study. In the mountain foothills of northern coastal Peru, spectacled bears inhabit a dry forest habitat that provides a unique and perhaps unparalleled opportunity for study. 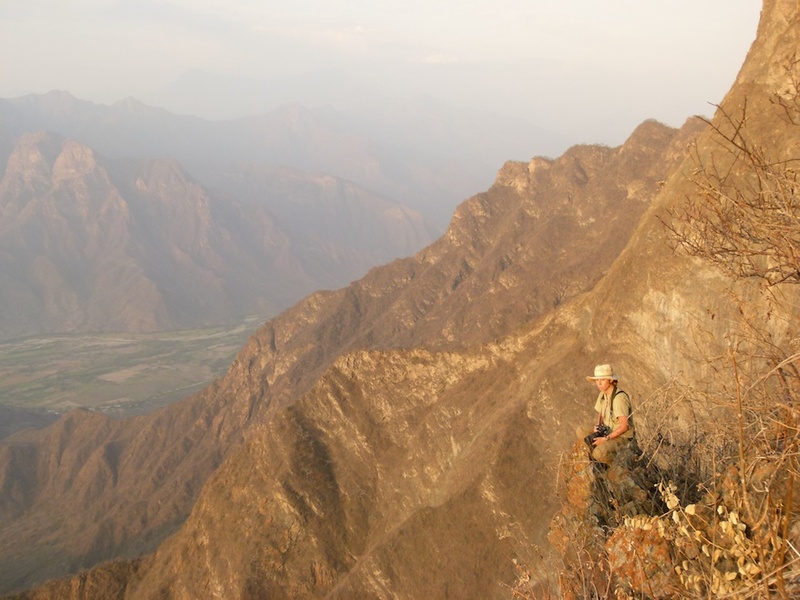 This relatively open terrain provides visibility for observational studies, conditions are favorable for the detection and persistence of bear sign, and the arid environment concentrates bear activity around a few small, dispersed water holes. 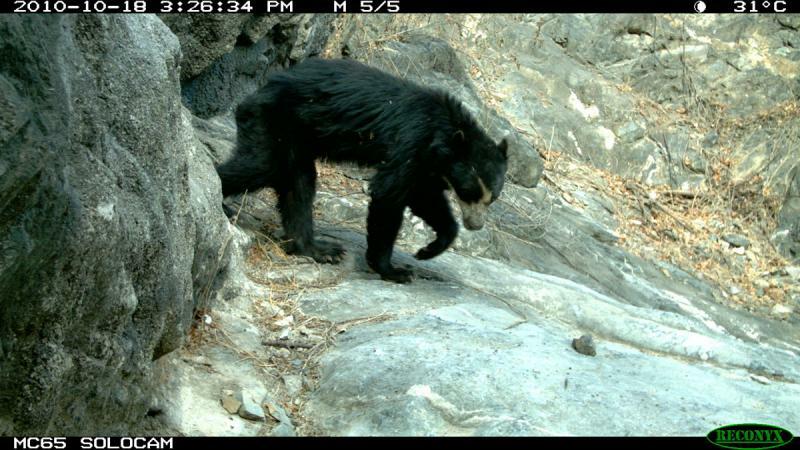 In a recently updated assessment of the status of spectacled bears, the IUCN/SSC Bear Specialist Group identified "unique and endangered habitats occupied by bears such as desert habitat" as a priority for study. However, this area is under ever increasing pressure from agricultural encroachment from large scale sugar cane and rice plantations, free-ranging cattle and from subsistence maize cultivation in the uplands. There are also threats from extractive mining development. 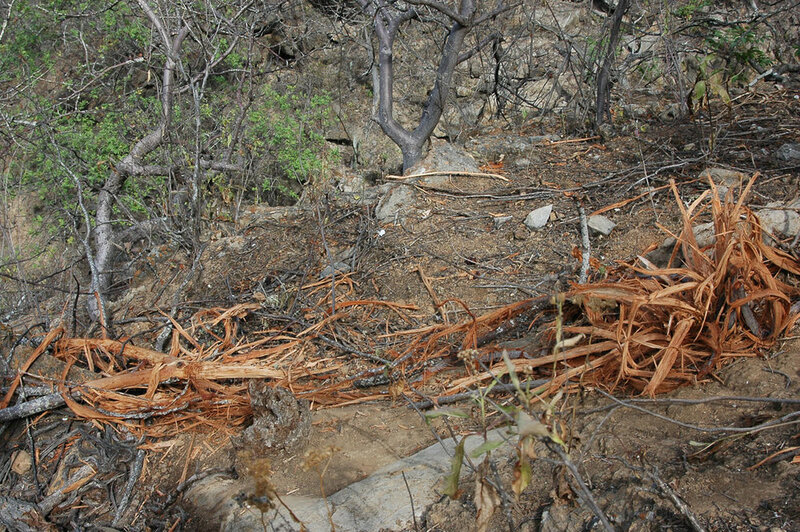 Habitat fragmentation and conversion of Peru’s northern dry forest is increasing at an alarming rate. It is because of this, coupled with the lack of knowledge on the ecology of the spectacled bear, and its designation by the IUCN as a priority area for study that Spectacled Bear Conservation - Peru (SBC) was established. 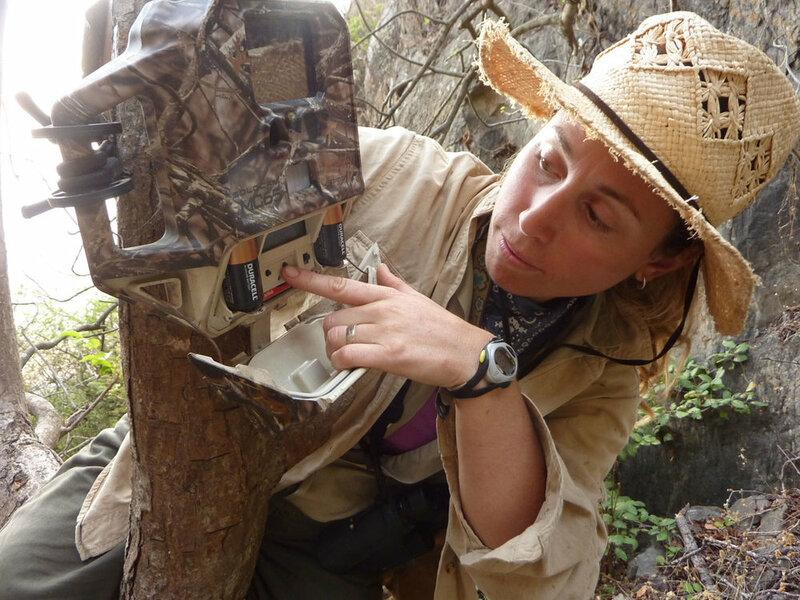 The goal of SBC is to increase the knowledge of the spectacled bear through scientific research while protecting the local spectacled bear and other inhabitants of the dry forest. Additionally, the SBC will continue their work to improve the quality of life of the local residents and to foster their pride and enthusiasm for protecting this unique ecosystem. Spatial ecology and habitat protection. 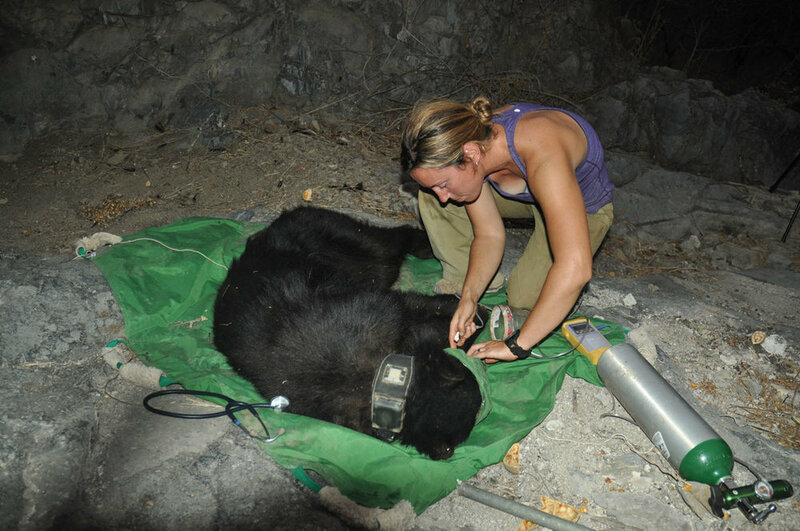 One of our main objectives is to use GPS satellite collars and camera traps to track bears’ movements and determine how they move through space and use habitats. We will obtain location data several times a day for multiple bears simultaneously. Animal movement patterns determine how large a reserve needs to be to sustain a population of bears. Population census. We will use and compare three different methodologies to estimate populations, with a key goal being the identification of the most reliable and cost-effective means for population monitoring over larger areas. Mating strategy. We will seek to characterize the mating patterns of spectacled bears through behavioral observation and genetic paternity analysis. Mating patterns can determine the genetic viability of small, isolated populations. Critical limiting resources. Studies of foraging resources will help determine how many bears an area can support, and which resources should be enhanced to sustain bears. Studies of denning ecology—including factors such as distance to water, nearby foraging opportunities, human disturbance, and the thermal and protective qualities of the den –will help determine whether an area contains enough suitable den sites. We are training local people in research methods to conduct conservation outreach, and to further build conservation capacity by training and mentoring students. Parabiologist training is essential to our work because it is a primary mechanism for engaging the local communities, carrying the conservation message further than is possible by outsiders to the community. In Lambayeque, our broader interests in conservation and commitment to outreach have been recently illustrated by the inauguration of El Centro de Conservación de Batán Grande (Conservation Centre of Batán Grande), for use by local conservationists and educators. Since The Centre's inauguration in 2010, SBC has held numerous workshops and presentations for the local villages. In 2011, SBC began a long term training program 3 days a week for the woman of Incahuasi and members of the textile association so they can learn to read and write. In 2010 we developed and implemented an introductory conservation education program within the ‘Cuenca de la Leche’ watershed in each of the 10 villages. Our educational staff worked with 16 primary schools directly reaching 173 teachers and 3,655 students. SBC would like to increase this program in 2012 by reaching out to all secondary schools within this watershed.